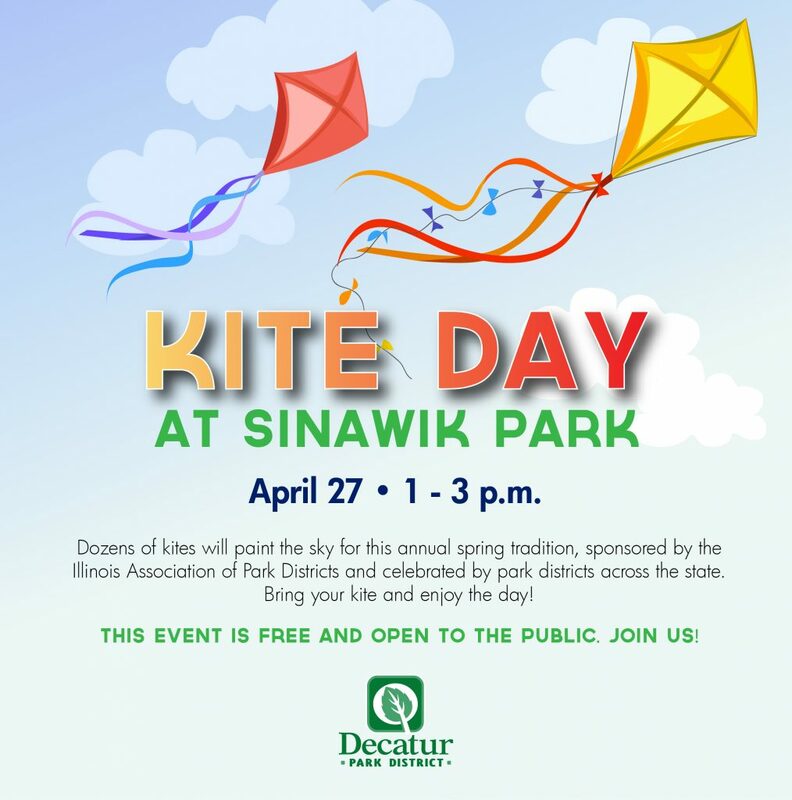 Dozens of kites will paint the sky during the Decatur Park District’s annual Kite Day on Saturday, April 27 from 1 – 3 p.m. at Sinawik Park. Participants can bring their favorite kite and enjoy an afternoon of fun and relaxation. This annual event is sponsored by the Illinois Association of Park Districts and will be celebrated by park districts statewide. Location: Sinawik Park, 1715 S. 32nd St.